Most of us find reason to visit McDonalds from time to time, whether it be for a quick snack or a McFlurry treat. 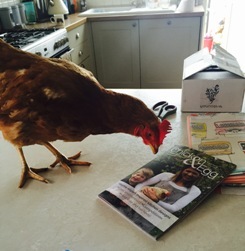 We decided to put some questions to Nina Prichard, Agricultural Assurance Consultant at McDonalds, to make sure we can enjoy free range Mctreats at any time. The article was published in Issue 5 of Chicken & Egg in Summer 2013. 1. As you are undoubtedly aware, McDonald’s hasn’t always had the best press in the past for its animal welfare. Have things changed at McDonald’s? At McDonald’s we are always striving to continually improve standards throughout the supply chain, which also applies to the animal welfare standards we expect our suppliers to adhere to in order for us to continue sourcing quality, sustainable and assured ingredients for our menu. We are proud of the progress we have made over the last ten years and the recognition we have had from the industry through the British Egg Awards, the RSPCA Good Business Awards and the Good Egg Awards indicates to us that we are moving in the right direction. We are committed to improving animal welfare standards and all the eggs we use on our breakfast menu are accredited by the RSPCA’s Freedom Food standards and conform to the Lion Quality Code of Practice or equivalent. And last year we made the biggest ever move to support British and Irish farming and launched Farm Forward, our long-term programme to secure a sustainable future for the industry. Over the past three years we’ve commissioned research into commercially viable methods of improving animal welfare and egg quality on free-range farms as part of our range enrichment programme. Since 2008 all producers supplying McDonald’s have had to plant at least 5% of their total range area with blocks of trees and in conjunction with the Food and Animal Initiative (FAI) we fed into a recently published study by Dr Ashleigh Bright, which identifies the economic value for farmers of providing range enrichment for laying hens. 2. Why does McDonald’s use free range eggs? Does it make a difference to the McDonald’s customer or is it a policy decision? Over recent years we have seen how customers change their purchasing decisions based on the rising importance of good values and animal welfare is now a key consideration for many customers. We recognise the importance of listening to our customers, acknowledging their preferences and we were the first large restaurant on the high street to make the move in 1998 to use only free range eggs across our breakfast menu which has been very positively received by our customers. 3. What sort of relationship does McDonald’s have with its chicken and egg suppliers? We work with suppliers who share our values and vision for sustainable supply. We build long-term relationships with all of our suppliers, which provide us with an assured supply of quality ingredients, and give our suppliers the confidence to invest in their businesses and make continuous improvements. We strongly believe that long-term partnerships outweigh a short-term transactional approach. The relationship we have with our egg suppliers is no different. For example we have worked with The Lakes Free Range Egg Company for over 10 years and we are proud of the fact that The Lakes is a McDonald’s Flagship Farm which is a European programme to showcase and share examples of good sustainable farming practices. 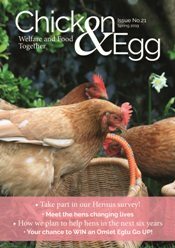 We also engage with suppliers and researchers through our Sustainable Egg Supply group to identify challenges facing the industry, which enables us to collectively come up with practical solutions which we can implement across the supply chain. 4. Do you source all your eggs in Britain and Ireland? If not, why not, and what % are home grown? Yes, we source all of our free-range eggs from Britain and Ireland. As well as eggs, in the UK we serve 100% British and Irish beef and British pork and we only use organic semi-skimmed milk sourced from UK farms in our coffee, teas, Happy Meal milk bottles and porridge. We also use UK milk for our milkshakes, McFlurry desserts and ice cream sundaes.